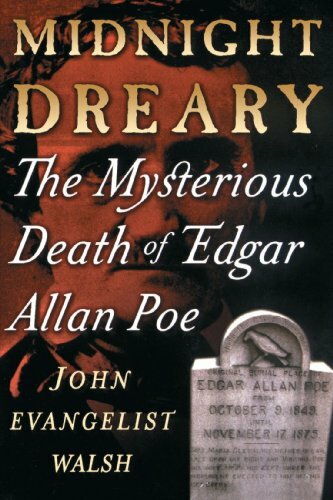 While traveling alone from Richmond, Virginia, to New York City, Poe disappeared for nearly a week. When seen again he was terribly drunk and nearly dead in Baltimore. In the hospital, four days later, after periods of raving delirium, he died. The immediate cause of death given was "congestion of the brain." At first no one seriously doubted that Poe died from drunken debauchery. However, Poe adherents suggested many theories of a physical nature about precipitating causes but no one has seroiusly probed the mystery of the missing week . . . until now. With James W. Cox (other contributor) | from Harpercollins (August 1, 1991); titled "The Ministers Manual, 1992"
About: A masterful reconstruction of the unsolved, real-life mystery surrounding the death of Edgar Allan Poe examines the last days of the author's life and his mysterious death in Baltimore. With Richard Saul Wurman | 3rd edition from Harpercollins (June 1, 1996); titled "Access Florence, Venice & Milan"
About: This guide to the cities of Florence, Venice and Milan is organized by neighbourhood.